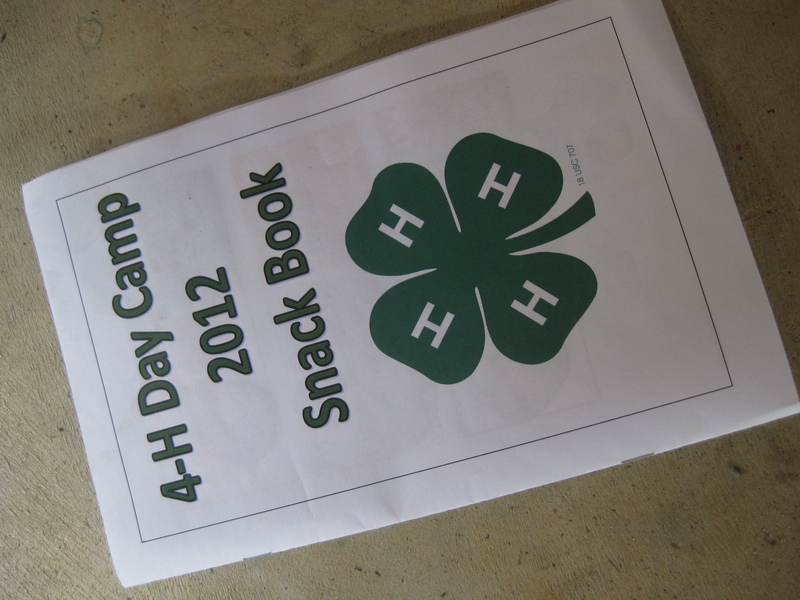 For the final day of 4-H Day Camp, we talked about Dairy foods. We talked about different kinds of cheese, and did our “Go, Slow, Woah” categorization. That was a bit tricky, because there aren’t very many “Slow” foods according to the chart we were using as a reference. Skim milk is a “Go” food, while whole milk is the whole way over on the “Whoa” food poster. Cheese is the same way- if it’s made with full fat, it’s “Whoa”, but low fat or skim merits it a place as a “Go” food. Our snack was Yogurt Berry Parfaits- and most of the kids knew what was coming because they had taken a peek at our recipe book the day before, which they got to take home with them. 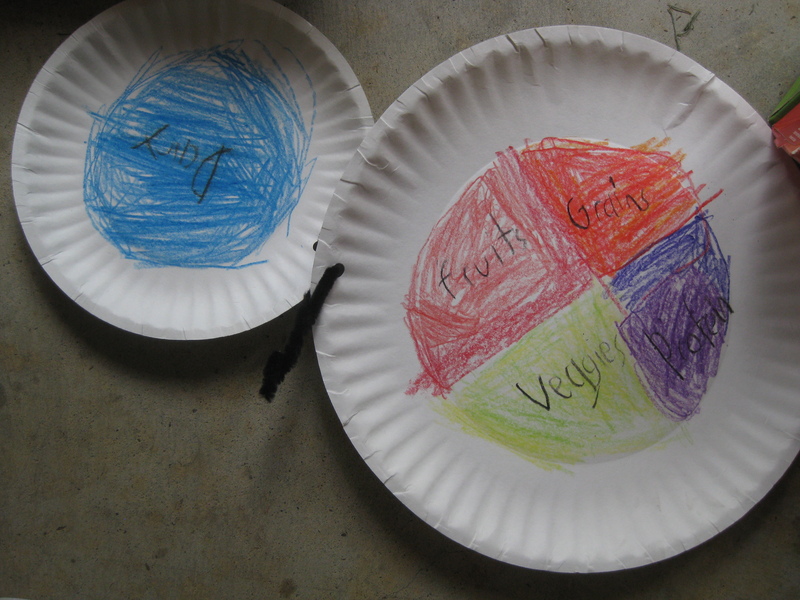 As a final culmination of the week, the kids made a MyPlate craft to take home with them as a reminder of everything they had learned. We have some budding little artists in the group! 4-H camp was a great experience, and I truly enjoyed getting my feet wet in teaching this age group. Categories: Community Nutrition | Tags: dairy | Permalink.